In a previous post, we talked about how pollution not only increases risk of respiratory illnesses, heart disease, learning disabilities, and even cancer, but can also accelerate the appearance of aging. Scientists have linked pollutants like dust, traffic particle emissions, soot, ambient particles, and others to an increased risk of age spots, hyperpigmentation, fine lines and wrinkles, and nasolabial fold lines. We can protect ourselves from outdoor pollution by covering the skin when we go outside, wearing sunscreen, and consuming and applying antioxidants. But unfortunately, outdoor pollution isn’t the only problem. They add that indoor air pollutants have been ranked among the top five environmental risks to public health. Just when you thought that home was your sanctuary! Fortunately, we can reduce indoor pollution by vacuuming and dusting frequently, opening a window whenever we can, and investing in a quality air filter. But there’s another way to make indoor breathing easier while adding a touch of class to our indoor spaces: use more houseplants! Any greenery helps, but there are certain plants that clean the air better than the rest. Our explorations in outer space have brought us more than an improved knowledge of the cosmos. Beyond all the new technology and innovation, NASA research also helped us realize that the humble little houseplant could do a lot for our indoor air quality. In the 1960s, an environmental scientist by the name of B.C. “Bill” Wolverton was studying how the Earth’s environment works to naturally clean itself of pollutants. He was working at a test center in Florida where the local waters were polluted with Agent Orange. He discovered that the swamp plants were cleaning it out! Based on his discoveries, the Space Agency funded further research, in the hopes that Wolverton could find information that would help design sustainable living environments for long-term living in space. He continued to study how plants could clean wastewater, and then moved on to look at how they could improve air quality. Results showed that plants were helpful in removing toxic chemicals from the air called volatile organic compounds (VOCs)—including things like formaldehyde, benzene, trichloroethylene—all potential carcinogens that can be off-gassed from materials used in constructing homes and buildings. NASA tested the concept by creating the “BioHome,” a building designed for one and made entirely of synthetic materials. Initially, people who entered the facility suffered from burning eyes and breathing problems. NASA tried filling the room with houseplants. Turns out they not only made the building more comfortable, but they actually reduced volatile organic compounds in the air, as proven by scientific analysis. In 2011, Environmental Health Perspectives published an article on houseplants and healthier indoor air. They mentioned NASA’s studies, as well as other research from the University of Georgia, in which scientists discovered that different plants could remove benzene, toluene, octane, and trichloroethylene from the air. Additional studies in 2011 found that potted plants could remove formaldehyde, while scientists from Brazil determined that certain plants could also remove mercury vapor. An earlier study from 2009 discovered that some plants could reduce ozone concentrations in an indoor environment. Ozone is a frequent component in smog, and can cause lung irritation and inflammation. Plants work by absorbing contaminants through the pores on the leaves, and by metabolizing contaminants through organisms living in the soil. They work so well that some home improvement stores and greenhouses have started to label certain plants according to their ability to clean the air! How can you put all this research to work in your home—and for your skin? Invest in the right plants, position them according to the tips below, and then just make sure they get enough light, water, and fertilizer, and breathe in the difference. For maximum efficiency, use 15 to 18 plants in a house that’s 1800 to 2000 square feet. Think one plant for every 100 square feet. You don’t have to buy that many at first. Invest in a few, and then propagate additional ones off the original. Spider Plant: formaldehyde, xylene and toluene. Golden Pothos: benzene, formaldehyde, trichloroethylene, xylene and toluene. Snake Plant (Mother-in-Law’s Tongue): benzene, formaldehyde, trichloroethylene, xylene and toluene. Bamboo Palm or Reed Palm: formaldehyde, xylene, and toluene. Peace Lily: benzene, formaldehyde, trichloroethylene, xylene, toluene, and ammonia. English Ivy: mold and mildew, formaldehyde, benzene, xylene, and toluene. Gerbera Daisies: benzene, formaldehyde, trichloroethylene. Red-Edged Dracaena (Dracaena Marginata): benzene, formaldehyde, trichloroethylene, xylene, and toluene. Warneck Dracaena: benzene, trichloroethylene, xylene, and toluene. Weeping Fig: formaldehyde, xylene, and toluene. Chrysanthemum: formaldehyde, benzene, trichloroethylene, xylene, toluene, and ammonia. Boston fern: formaldehyde, xylene and toluene. Do you use plants to help reduce indoor air pollutants? Please share your tips. “Benefits Stemming from Space Exploration,” NASA, September 2013, http://www.nasa.gov/sites/default/files/files/Benefits-Stemming-from-Space-Exploration-2013-TAGGED.pdf. “Plants Clean Air and Water for Indoor Environments,” NASA, http://spinoff.nasa.gov/Spinoff2007/ps_3.html. Luz Claudio, “Planting Healthier Indoor Air,” Environmental Health Perspectives, October 2011; 119(10): a426-a427, http://www.ncbi.nlm.nih.gov/pmc/articles/PMC3230460/. Heather L. Papinchak, et al., “Effectiveness of Houseplants in Reducing the Indoor Air Pollutant Ozone,” Hort Technology, April-June 2009; 19(2): 286-290, http://horttech.ashspublications.org/content/19/2/286.full. Patricia M. Webb, “Indoor Plants for Clean Air,” Penn State Extension, January 16, 2008, http://extension.psu.edu/plants/master-gardener/counties/clarion/news/2011/indoor-plants-for-clean-air. Would love to see a list of houseplants that do similar things that are safe to have around pets. Unfortunately, most of these plants are toxic to pets, especially cats. Plants are great natural air cleaners, I think almost all plants on the planet have an air cleaning ability. we just need to choose plants which give us pleasure and think about which plants suite out lifestyle. Will try some of these at our place. hanks for sharing great list. Heat vents in ceiling . if inside vents are dirty from construction, air flowing downwards ftom vents will be filled with dust. This will will land on plants’s leaves and clog their pores. Put filters in the vents or wash the plants’s leaves under a shower often to allow them to breathe. I love the information, but some of these plants names are familiar and possibly not in a good way — are all the listed plants safe to have around pets and small children? It’s been a while since I looked the dangerous to pets & children list. so that’s why I ask. I’d love to try new plants, but have a couple of cats that do like to nibble the ends of leaves. We would definitely suggest always looking into information like this if you’re concerned. We don’t have that information on this article but if there is a plant that you would like to add to your house, it’s great to do your due diligence for your kiddos and feline friends. As a botanist, I can say that Deanne’s comment is only half-true. You are perfectly able to put plants in the bedroom as long as you have adequate airflow in said room. 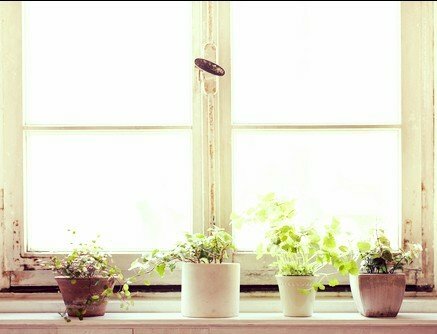 If you sleep with your door and windows shut, it may be in your best interest to keep minimal plants in that particular room. I did not know that. I currently have 2 peace lilies and 2 spider plants in my bedroom, mainly because of the lighting. I will remove them. I believe you misunderstood article. Plants are GOOD; don’t remove them from your bedroom. I am usually a plant killer, but I bought a $7 snake plant from Ikea and have propagated two other plants for it. The thing refuses to die: it is completely indestructible. Yesterday I bought a peace lily and am hoping I wont’ kill it like I kill most plants. Great article, I don’t have a green thumb but will give it a try! Snake plants are easy, you almost can’t kill them, also philodendrons. I’ve also heard snake plants are the best plants for returning oxygen into the air.